Summary: Buddhism has become part of a broader soft power rivalry between China and India for greater influence in Asia. Jayadeva Ranade is a former additional secretary in the Cabinet Secretariat, Government of India and is presently president of the Center for China Analysis and Strategy. For both China and India, Buddhism is a useful enhancer of cultural soft power. The religion has, over the past decade, increased in importance for India as New Delhi tries to re-energize the religious tradition and integrate it into the country’s cultural strength; for China, meanwhile, Buddhism is an important means of soothing domestic discontent and staving off risks to its territorial integrity. Buddhism, which China has begun describing as an “ancient Chinese religion” and allowing its citizens freedom to practice, is especially significant for China in preserving domestic social stability and diffusing restiveness in the Tibet Autonomous Region (TAR) and Tibetan areas elsewhere in China. China is also using Buddhism to increase its influence in nearby regions by acquiring predominant access to powerful Buddhist organizations. Meanwhile India, which has been home to Buddhism since its birth, sees Buddhism as a way of strengthening its relationship with Southeast Asian nations and as a means of preserving the religious and cultural practices of the Tibetan Buddhist people who have sought refuge in India. Both ends of the Continent's periphery are shifting away from the core. I’m writing this from London and heading from here to Poland and Hungary. This seems like a trip from one Europe to the other. In fact, at this point in history, these places have a great deal in common. They are each on Europe’s periphery, trying to define their relationship to Europe and trying to cope with the radical implications of the right to national self-determination. Europe’s core since the late 19th century has been Germany, France, Belgium and the Netherlands. In some ways, this was Charlemagne’s Europe, which was the organizing core of the European Peninsula. These countries, with the addition of Italy and Luxembourg, also established the European Coal and Steel Community, which eventually evolved into the European Union. Together they account for a substantial proportion of Europe’s wealth. Europe’s periphery consists of the countries and regions that surround this core: Scandinavia, the British Isles, Iberia, the Balkans and what used to be called Eastern Europe. A strong argument can be made that Italy also should be considered part of the periphery. Italy had been the center of a great Mediterranean empire in the distant past, but it was never part of the Europe that Charlemagne created. ** Why Would Pakistan Send Combat Troops to Saudi Arabia Now? Pakistan’s consideration of a combat troop deployment to Saudi Arabia would cross an important line. A recently released report by Middle Eastern Eye, citing an anonymous source, claimed that Pakistan was planning to deploy a brigade of combat troops to Saudi Arabia to protect the Kingdom’s southern border from the Houthi militias in Yemen. A Saudi Arabia-led coalition of predominantly Sunni Muslim states has been pounding Yemen since 2015 in a bid to restore the latter’s Riyadh-allied government back to power. The Houthi rebels, an Iran-supported militia from northern Yemen, are leading Yemen’s minority Shia political groups and have resorted to guerrilla warfare to achieve their goals. Pakistan’s defense minister, Khawaja Asif, has denied reports about Pakistani military deployment in Saudi Arabia. However, on March 15, Asif, while giving an interview to a local channel, disclosed that discussions between Islamabad and Riyadh were underway in this regard: “The final call to send troops to Saudi Arabia had not been taken yet, however, a mutual objective was to fight terrorism,” said the minister. It’s important to note that the report also claims that Pakistan’s military brigade will remain “inside” the Kingdom’s borders and “will not be used beyond Saudi borders.” Besides, the military in Pakistan, which is widely believed to be the ultimate determinant of security and foreign policy, has not denied the report yet. Emmanuel Macron has surged to prominence in the French presidential election. Opinion polls show that the center-left candidate and the National Front's Marine Le Pen are favored to reach the second round of voting. The emergence of strong nationalism and Euroskepticism across Europe has challenged Europe's traditional political parties and threatened the continuity of Continental integration. But in the past few weeks, the political establishment has found itself under fire from a different direction. In Germany and France, which hold general elections this year, candidates who express dissatisfaction with the political status quo yet defend closer European ties have gained popularity. If those candidates are successful, immediate fears about the eurozone's future could fade, even though the underlying causes of the populist wave sweeping Europe would remain. As France nears the first round of presidential elections in April, opinion polls show that centrist candidate Emmanuel Macron has pulled even with National Front leader Marine Le Pen for first place. Polls also suggest that Macron would defeat Le Pen in the election's second round, which will be held in May. Macron's rise (his support, which hovered around 20 percent in January, was roughly 26 percent in March) parallels the emergence of corruption scandals embroiling the former frontrunner, center-right candidate Francois Fillon (who dropped from around 25 percent to roughly 18 percent in the same period), and the movement of the Socialist Party to more left-wing positions. 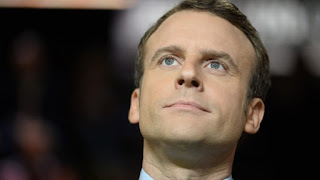 Macron, a former banker and graduate of the prestigious National School of Administration, seems to have succeeded at presenting himself as a political outsider, even though he briefly served as economy minister under Francois Hollande. 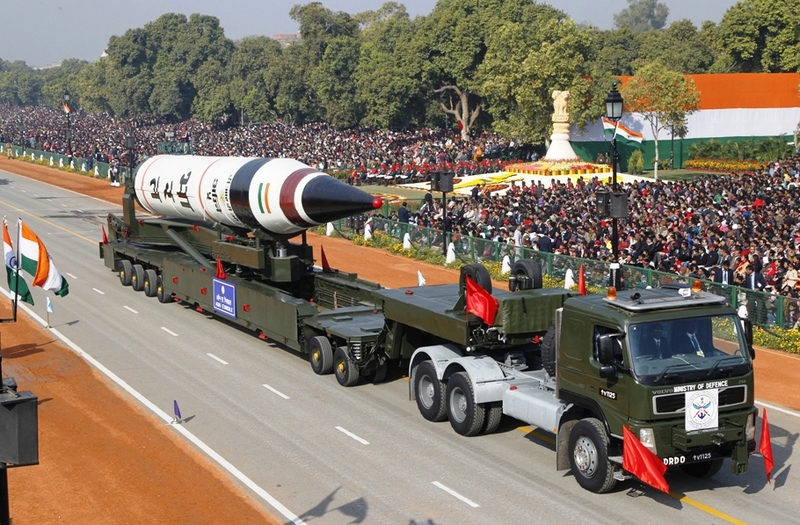 Is the Indian Nuclear Doctrine Evolving? India’s nuclear doctrine may appear to be undergoing a shift towards conducting a ‘counterforce strike’ against Pakistan, but some experts see this as “mind games” that could set off a worrying chain of events in the region. Washington: If India fears imminent use of nuclear weapons by Pakistan, will it go first, upending its doctrine of ‘no first use’, and conduct a comprehensive first strike, taking out Pakistan’s nuclear arsenal? In other words, has India’s nuclear doctrine undergone a shift? Vipin Narang, a respected expert, raised the possibility at the Carnegie International Nuclear Policy Conference, causing a stir. The conference, held every two years to discuss nuclear weapons, proliferation and associated topics, is a gathering of the world’s top nuclear strategists. Narang, a professor of political science at the Massachusetts Institute of Technology who specialises in nuclear proliferation and strategy, said in his prepared remarks that there was increasing “evidence that India will not allow Pakistan to go first”. During his February 28, 2017, address to a joint session of Congress, U.S. President Donald Trump vowed to “demolish and destroy” terrorist groups such as the Islamic State (also known as ISIS). Although most U.S. media coverage has focused on U.S. operations in Syria and Iraq, Afghanistan remains an important frontline state in the struggle against terrorism. At present, there are more U.S. military forces deployed there than to any other active combat zone, and a panoply of Islamist extremist groups—from the Taliban to al Qaeda and ISIS—remain in the country and in neighboring states such as Pakistan. This reality makes it important for the Trump administration to avoid some past U.S. missteps, such as, especially, publicizing a fixed set of deadlines to withdraw U.S. forces. Instead, the United States should retain a small military force in the country at or slightly above the current level of 8,400 U.S. soldiers, along with its current diplomatic, intelligence, and development footprint. Washington’s goals should be limited: aggressively pursue terrorists that threaten the United States, prevent Taliban forces from overthrowing the Afghan government, and encourage a more sustainable and effective Afghan government. A small but durable U.S. military presence would have an additional benefit: it would likely dampen security competition between nuclear-armed regional powers, which would almost certainly intensify with a U.S. departure. Beijing misread Obama and set the relationship back. It must avoid repeating the same mistake. Historians often talk of the period in which the United States “lost” China. It was in the very early period of the People’s Republic of China, when there was a brief opportunity for the Unite States to bring the infant nation into their sphere of influence, through diplomatic opening and trade links. But thanks to intransigence on both sides, the moment soon passed. For the next two decades, the United States and PRC were mortal enemies, a situation made all the worse by the primacy Washington placed on Moscow, contributing to Beijing’s sense of injustice and unequal treatment. Now in analyzing the last decade, historians may say that China has lost the United States. In the era of China’s emergence onto the global stage since 2000, the defensive, victimized posture that Beijing has taken historically overshadows and obscures that fact that these days it can make real decisions about its own fate. Power is increasingly in its own hands now, and Beijing has a world to lose or gain. The rest of the world can only restrict its space, if they feel it necessary – they cannot completely close it off, as some of them once tried to do. And while this creates a sense of prestige, China is still reticent to shoulder the burdens of a great power with a stake in the international order. Beijing’s predictable use of its position on the UN Security Council and refusal to work within a rules-based system to address territorial disputes suggest a less mature approach to engagement than its material capabilities intimate. Grand strategy and true diplomacy take a backseat to court politics, continuing an ancient narrative that is no longer useful. Protecting the aircraft is just a first step. Combat aircraft sortie generation can be thought of as an industrial process with the airfield as a “sortie factory.” The factory needs working aircraft, but the aircraft must be able to taxi to a runway that is long enough for them to operate from safely and when they return they must be able to be repaired, refueled and rearmed, and their crews must be able to receive orders and plan missions. This means other parts of the factory must be protected if the base is to function under attack. This means hardening maintenance, fuel storage and distribution and operations facilities. Building shelters to protect aircraft larger than fighters is possible, but cost obviously scales with shelter size. As the United States continues to place tremendous time, energy and resources into its “rebalance” to the Asia-Pacific, many are questioning the military and strategic aspects of this effort. Specifically, many analysts are concerned over the emphasis China has placed on its ballistic- and cruise-missile platforms. If a crisis were to occur, and with so many U.S. and allied bases now in range of Beijing’s growing missile forces, is there a case to be made to “harden” bases that might be in range? Harry J. Kazianis, then Managing Editor of The National Interest, spoke to CSBA Senior Fellow John Stillion in 2014, in an effort to break down this complex issue. The future of our world heavily depends on relations between the US, a young country and the incumbent superpower, and China, an ancient empire and a rising superpower. Making these relations particularly challenging have been the election in the US of Donald Trump, a populist xenophobe, and the ascendancy of Xi Jinping, a centralising autocrat, in China. It is likely to be a golden era for Chinese private enterprises investing in India over the next few years, and it is possible that increasing commercial blending could help enhance mutual political trust between Beijing and New Delhi. The Indian government is in talks with nearly 300 companies to channel investment into the country, with around half of the capital being pursued from China, the Times of India said recently. In 2016, China's direct investment to India was reportedly six times higher than the year before, despite a call for a boycott of Chinese goods. The rising investment is expected to continue in 2017. A recent study from the US-based Brookings Institution said that "almost 90 percent of the next billion entrants into the global middle class will come from Asia," with India expected to contribute 380 million people, exceeding the 350 million expected in China. It is understandable that countless Chinese firms have shown an increasing interest in the burgeoning Indian consumer market. India has reduced investment restrictions and further opened up its market for foreign investors, which is one of the reasons behind soaring investment from China. Some well-known Chinese private enterprises such as telecom giant Huawei have shown great enthusiasm for investing in the country after the Indian government adopted a more open mind in attracting Chinese private investment. The nation could see a faster growth in investment from China over the next few years if the Indian authorities can give more trust and further reduce restrictions on China's State-owned enterprises, where the Chinese government is the biggest shareholder. By giving ordinary Muslims the option of convincing themselves that they are victims rather than perpetrators, we are essentially disempowering the rational voices in the community. It is this group that needs empowerment, so that Islam rethinks its history and reworks its own imperialist tendencies. If the world is to become a saner place, it is Islam that needs to be secularised, and this task can be done only by Muslims. The London terror attack yesterday (22 March), which is likely to have been prompted by Islamist rage and jihadi activity, is one more proof that the world has not got its anti-terrorism act right. The world is losing the “war on terror” because one cannot win against shadowy combatants who believe in asymmetric warfare. Terrorism is a tactic in Islam’s cosmic war against Christendom, and no strategy can win permanently against opponents who deploy flexible tactics, as Daniel DePetris, wrote in The American Conservative some time ago. You can crash aircraft into the Twin Towers one day, you can blow yourself up against a military target, you can run over and kill ordinary citizens on a promenade by driving a truck into them (or a car, as in London), or, as in India, you can kill people by trying to derail trains. There is little that anti-terror warriors can do if a terrorist is willing to die in the process of killing others. Islam has an inherent advantage in this tactic, for Muslims seem more willing to kill themselves for uncertain gains in the afterlife than most other people. The Javelin is one the U.S. military’s most effective, man-portable weapon systems. They’re available to frontline infantry squads in the Marines and Army, and typically a few are stowed inside vehicles in mechanized units. The United States has sold Javelins both to many NATO countries, including France and the United Kingdom, allies in the Middle East such as Saudi Arabia and the United Arab Emirates, and to Asian-Pacific countries including Australia, Indonesia and Taiwan. Because of the Javelin’s capabilities, the sale of Javelins is loaded with both political considerations as well as military significance. For example, the United States has provided 120 Javelin launch units to Estonia and 260 to Lithuania. If the Baltic states were invaded by Russian armor—not truly a likely event, but one much worried about because the small NATO countries would be hard to defend—light infantry wielding Javelins would basically serve as the Baltics’ first line of defense on the ground until NATO mobilized. European countries are becoming increasingly wary of foreign disinformation and subversion operations in their own internal politics following Russian interference in last year’s U.S. elections. The small Baltic states of Estonia, Latvia, and Lithuania, however, understand the threat of Russian hybrid warfare – a coordinated mix of conventional military action, covert influence, and cyberattacks – more than most. What threat does Russia pose to the Baltic states? Would they have their land borders and airspace violated, as did Ukraine and Georgia, or would Russian involvement walk the line between war and peace? What steps are the Baltic countries taking to counteract Russian operations, and can other countries, particularly the United States, learn from these? Dressed in fitted slacks, a satin bomber jacket with a fake fur collar, and a black scarf that loosely framed her face, Nadia, 22, spoke in a dull monotone of her journey from life under the Islamic State (also known as ISIS) to life in a Kurdish prison. She said she had not seen her three-year-old daughter since she fled her abusive husband, a fugitive ISIS member, in March. A Sunni Arab from the Salahuddin Governorate in central Iraq, Nadia—whose name has been changed to protect her identity—was married off to a local farmer in 2012. Although their marriage was arranged, they got along at first, she told me from the visiting room of an Erbil prison. But everything changed for the worse when ISIS took over their village for two months in 2014. What happened next underscores the serious challenges the Kurdistan Regional Government (KRG) faces as it seeks to identify security threats among the hundreds of thousands of Iraqis streaming across its borders from ISIS-held territory and to prosecute those who were part of the extremist group. During this difficult process, there is a risk that the KRG may be arbitrarily branding many women and even children who lived under ISIS as guilty by association—including those who had not welcomed the extremist group or were abused during its harshrule. In the information war against Daesh, communication professionals must understand how the enemy’s narrative is constructed and promulgated. Only then can the United States and its partners offer alternative narratives. The West must also create a marketplace of ideas where these alternative narratives are discussed and debated and compete with Daesh for influence. These actions will counter Daesh’s propaganda and narrative that continue to attract recruits, sympathizers and supporters to its ideology. Expressing his dissatisfaction with current efforts to defeat Daesh, President Donald Trump in January signed a Presidential Memorandum calling for the Department of Defense (DOD) to deliver a preliminary plan within 30 days that included information operations and other means to “isolate and delegitimize ISIS and its radical Islamist ideology.”[i] This effort illustrates the Trump administration’s view of the importance to national security of undermining the Daesh narrative. This vision of the future architect was imagined by engineer and inventor Douglas Engelbart during his research into emerging computer systems at Stanford in 1962. At the dawn of personal computing he imagined the creative mind overlapping symbiotically with the intelligent machine to co-create designs. This dual mode of production, he envisaged, would hold the potential to generate new realities which could not be realized by either entity operating alone. Today, self-learning systems, otherwise known as artificial intelligence or ‘AI’, are changing the way architecture is practiced, as they do our daily lives, whether or not we realize it. If you are reading this on a laptop or tablet, then you are directly engaging with a number of integrated AI systems, now so embedded in our the way we use technology, they often go unnoticed. As an industry, AI is growing at an exponential rate, now understood to be on track to be worth $70bn globally by 2020. This is in part due to constant innovation in the speed of microprocessors, which in turn increases the volume of data that can be gathered and stored. But don’t panic—the artificial architect with enhanced Revit proficiency is not coming to steal your job. 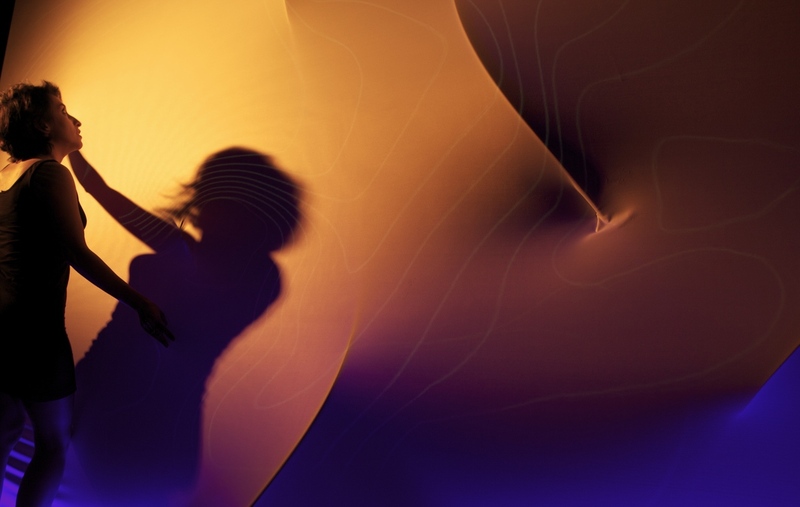 The human vs. robot debate, while compelling, is not so much the focus here but instead how AI is augmenting design and how architects are responding to and working with these technological developments. What kind of innovation is artificial intelligence generating in the construction industry? This unaccountable oligarchy of spies controls the information that guides our military and civilian leaders. The recent integration of two military contractors into a $10 billion behemoth is the latest in a wave of mergers and acquisitions that have transformed America’s privatized, high-tech intelligence system into what looks like an old-fashioned monopoly. In August, Leidos Holdings, a major contractor for the Pentagon and the National Security Agency, completed a long-planned merger with the Information Systems & Global Solutions division of Lockheed Martin, the global military giant. The 8,000 operatives employed by the new company do everything from analyzing signals for the NSA to tracking down suspected enemy fighters for US Special Forces in the Middle East and Africa. The sheer size of the new entity makes Leidos one of the most powerful companies in the intelligence-contracting industry, which is worth about $50 billion today. According to a comprehensive study I’ve just completed on public and private employment in intelligence, Leidos is now the largest of five corporations that together employ nearly 80 percent of the private-sector employees contracted to work for US spy and surveillance agencies. How well can a Kurd do a jumping jack? It might sound facetious, but the jumping jack is actually a good yardstick for how disciplined a group of soldiers are—a relatively simple physical exercise that pretty much anybody can be trained to perform, but which requires some modicum of motivation and uniformity: if you aren’t motivated enough to do jumping jacks in cadence, you probably aren’t motivated enough to brave enemy fire. Compare the struggles of the Afghan police to do jumping jacks against any American unit and the value of the jumping jack test is evident. On a recent trip to the Kurdistan Regional Government (KRG) in northern Iraq I had the opportunity to observe training at two separate locations, one just outside of Erbil and a second near the Mosul Dam. While their jumping jacks weren’t perfect, they were pretty good, and corresponded to how they conducted themselves on the front lines. In the West, there has been a recent wave of fretting about the United States’ alleged inability to train foreign militaries; one attempt to address this has been the establishment of new “Advise and Assist” brigades. Most veterans of Iraq and Afghanistan have some horror stories about their host nation counterparts: for example, during my time in Sangin, Afghanistan, an Afghan National Civil Order Police unit rotated into our AO and replaced an Afghan National Army unit. On their first night, the new unit got jumpy and, sensing a threat that was not there, opened fire with a “death blossom” on our village. The next day they asked us for RPGs so that they would feel safer, a request that seemed unwise for us to grant. With the Iraqi Security Forces currently testing their American training on the streets of Mosul, it seems like a good time to ask what makes partner militaries effective, and how we can facilitate that. Small, inexpensive, easy to operate combat aircraft with precision strike capability and long loiter times to provide close air support. Versatile, scalable rotary wing assets that do double duty as gunships and utility/rescue helicopters. Aircraft that can be disbursed to unimproved airfields and operated from roadways or even fields while being concealed on the ground. In the era of the multi-billion dollar Gen 5+ superfighter and hundred-million dollar stealth bombers, is the low-cost counterinsurgency or “COIN” air force the next big defense trend? Many aircraft and systems manufacturers, along with their nation-clients, are betting “yes”. As countries like Iraq and Afghanistan emerge from the long Global War on Terror and develop their own indigenous air forces the trend for local area defense and simple tactical air solutions is growing quickly. At the same time, strategic air combat capabilities, such as long-range heavy bombing, low observable long-range precision strike and long-range intelligence gathering have fallen to nations with much larger economies like the United States, Russia, England, France and China. Cybersecurity’s Human Side: How Can We Solve Our People Problem? First, stop undermining our own efforts to fill crucial jobs. Second, cast a wide net for useful lessons. The challenge in building cybersecurity resilience is that it is not only about software and legal code, but also about people. This is where there is concern about the new administration’s planned cybersecurity executive order; the last drafts to circulate online lacked any strategic effort to solve looming workforce challenges. Across government and industry, the growing need for cybersecurity professionals is outstripping the supply. At last report, 40 percent of the cybersecurity positions at the FBI remained unfilled, leaving many field offices without expertise. The consultancy Frost and Sullivan estimates that, worldwide by 2020, there will be 1.5 million more security jobs than skilled people to fill them. Diversity is also a problem. Some 11 percent of cybersecurity professionals are women, lower than the already dismal rates in the broader IT world. Even worse, they are on average paid lower wages than men at every single level of the field. How can we fill key gaps if we are only recruiting from less than half the population? So what can Congress do—and with an executive branch that has been, shall we say, unsteady so far on cybersecurity issues? After top cop confirms investigating the Trump campaign, a House member threatens to hold investigatory powers hostage. House Republicans sent a surprising message to the director of the FBI on Monday: cracking down on leaks is every bit as important as investigating connections between Trump campaign officials and Russia. They added an even more surprising threat: if you won’t do the former, we may take away a surveillance law that helps you do the latter. The tool in question is section 702 of the Foreign Intelligence Surveillance Act, or FISA. 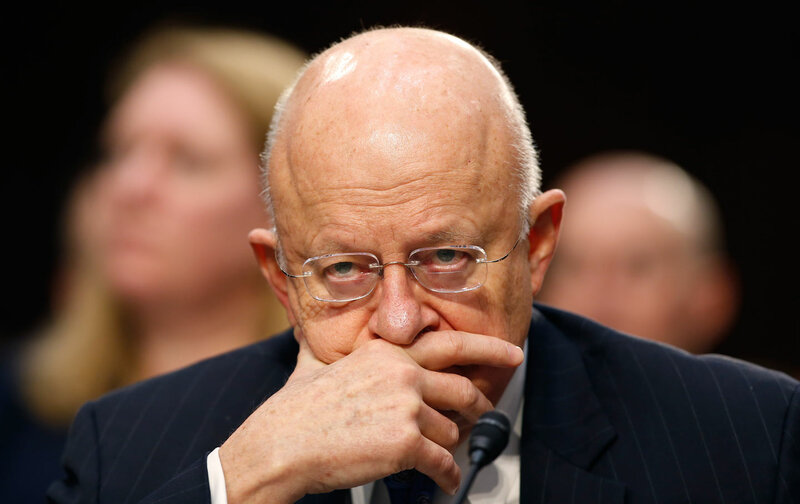 It allows the intelligence community to conduct surveillance under warrants approved by the FISA court in cases related to foreign intelligence surveillance targets. FBI director James Comey and others have called section 702 a key tool for intelligence collection, even more important than the bulk metadata collection program (which effectively ended under the USA Freedom Act). Some aspects of section 702 had already become a target for congressional Republicans worried about surveillance overreach. During a March 1 House Judiciary Committee hearing, Republicans asked whether the collection of intelligence on Trump campaigner Michael Flynn had been appropriate and lawful. They expressed concern that transcripts of a conversation between Flynn and Russian ambassador Sergey Kislyak had been made became public to undermine the Trump administration rather than expose possibly unlawful negotiations with the Kremlin. 2016 was a tumultuous year in cyber security. But there were three stories in particular that will likely have implications for events this year. The first is Russia’s cyber influence campaign that helped Donald Trump win the 2016 US Presidential election. The Obama administration responded with targeted sanctions, the expulsion of 35 Russian embassy officials, and denying access to two Russian government owned compounds on US soil. Additionally, the FBI and Department of Homeland Security released a Joint Analysis Report containing technical information to help network defenders identify and detect malicious Russian cyber activities. But those actions were too little, too late, and the benefits to Putin—Trump’s election—vastly outweigh the costs that were imposed on Russia. Similarly, the initial technical information released to aid network defenders was described as worse than useless. The second report released last month was vastly more helpful. The US has since indicted a number of Russian hackers and their associates for criminal cyber activities. Revealing this type of technical information will impose a real cost on Russian intelligence as they’ll have to retool to some degree. Such releases should form one element of a broader deterrence strategy, but it does come with costs to US intelligence. There’s a real risk of losing visibility of the cyber actors conducting these attacks, and it clearly took some time for the intelligence community to come to grips with publishing this further technical detail. But they need to be prepared to do this more regularly, with greater speed, and ideally in a way that maximises deterrence and minimises loss of capability. The Army’s current operations structure is ill suited for its new maneuver concept, the Army Functional Concept for Movement and Maneuver 2020-2040 (AFC-MM). The specific shortfall lies with the warfighting functions. The current warfighting functions do not integrate all five domains, adequately leverage emerging capabilities in electronic, information, and cyber-warfare, and do not provide a framework to synchronize them with operations at the tactical, strategic, and operational levels. Establishing an information warfighting function provides three major benefits. First, it links information related capabilities (IRCs) to the five domains. Second, it provides a logical framework to incorporate IRCs into planning. Finally, it sets conditions to realize AFC-MM. War is constantly evolving. Autonomous systems, robotics, electronic warfare, cyber warfare, the internet, social media, and individual access to global communications are changing the nature of conflicts at the tactical, operational, and strategic levels. In response, the Army developed the Army Functional Concept for Movement and Maneuver 2020-2040 (AFC-MM). The AFC-MM attempts to embrace these shifts and puts forth a concept aiming to maximize these emerging capabilities. It emphasizes that commanders should leverage capabilities between domains to create advantages. ADP 3-0, Unified Land Operations, states that commanders must present the enemy with problem sets across multiple domains because they possess the simultaneity to overwhelm the enemy and strike across depth. This allows commanders to achieve overmatch and defeat an adversary. If commanders and staff do not understand this concept it will put them at a disadvantage against those who do.